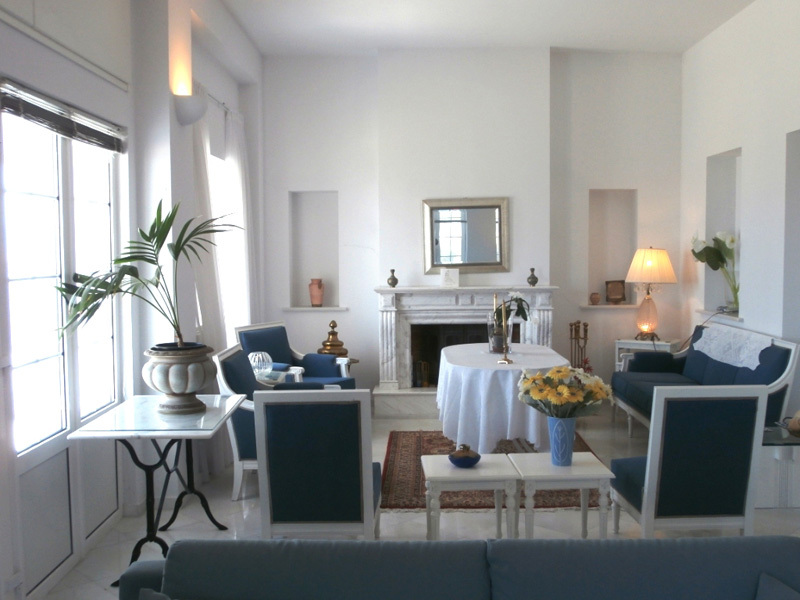 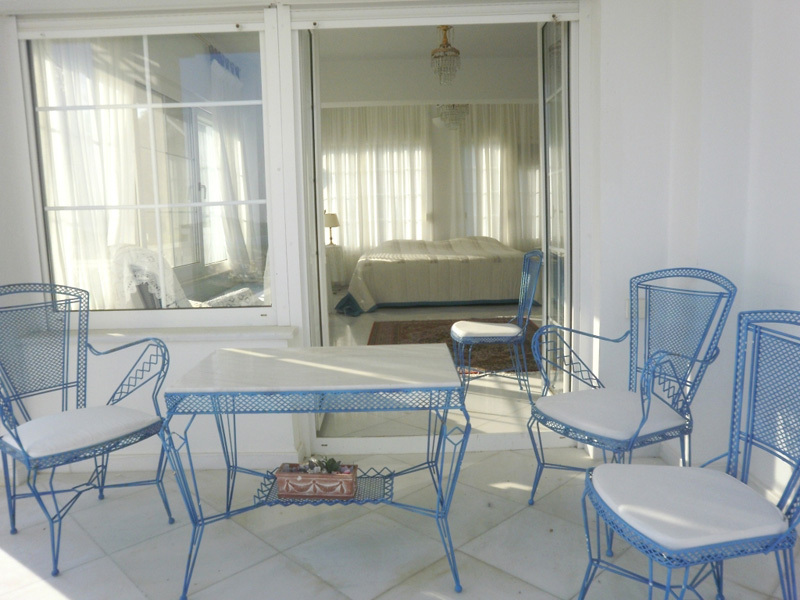 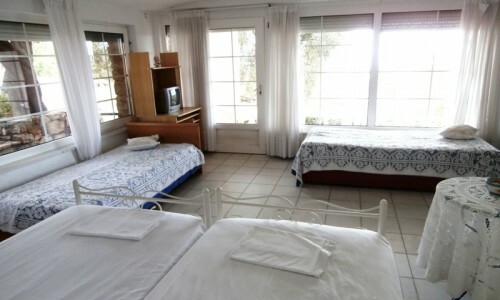 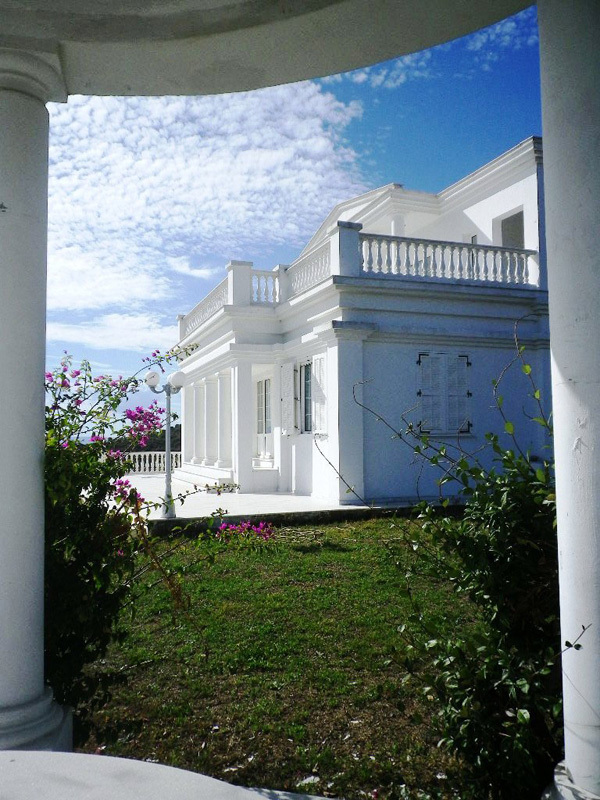 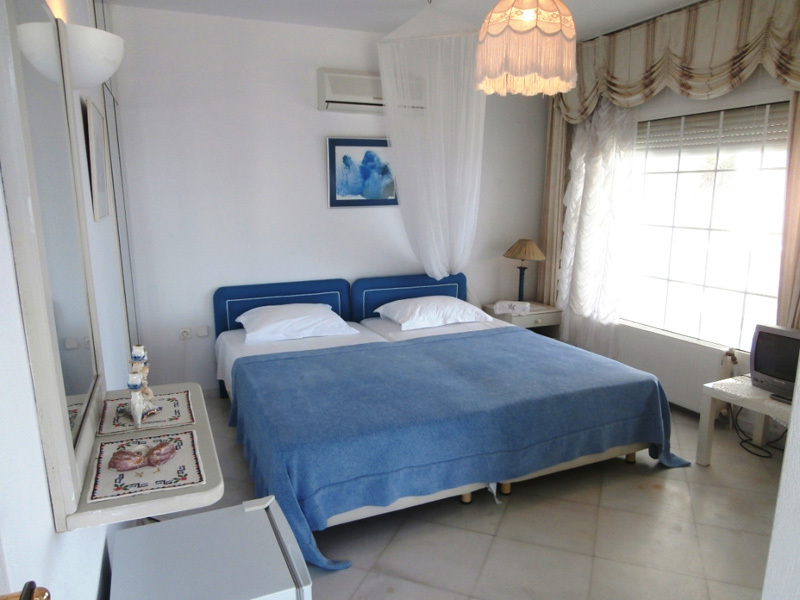 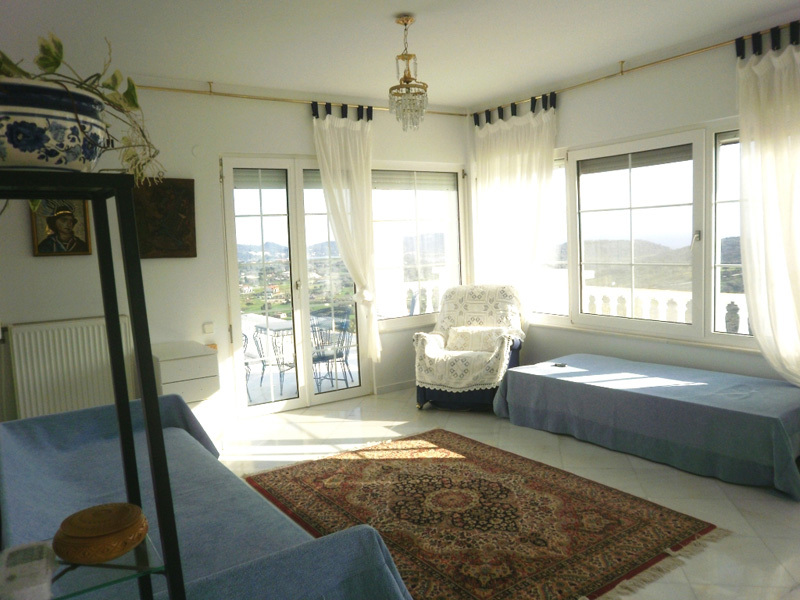 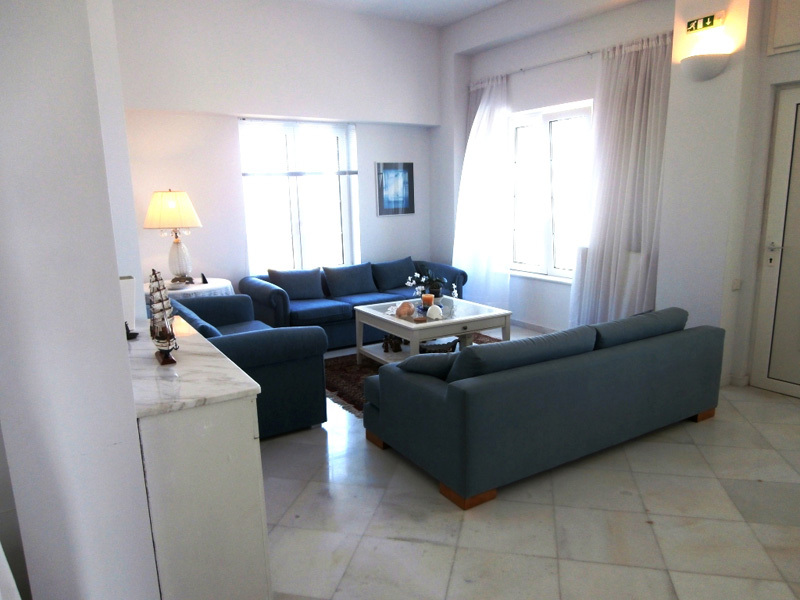 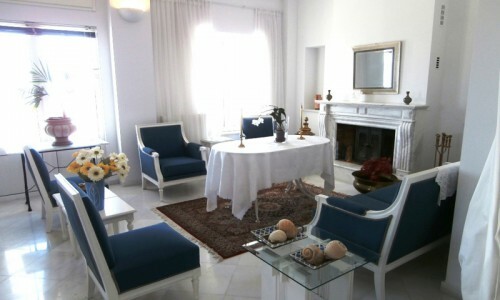 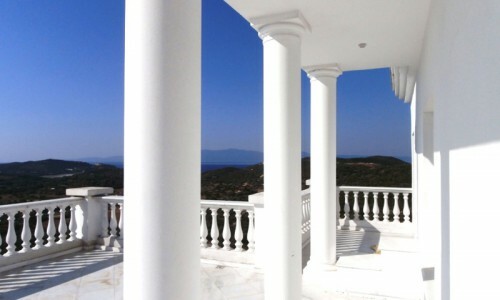 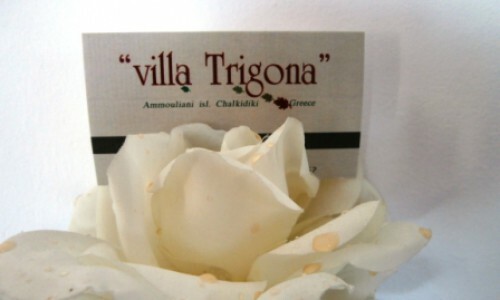 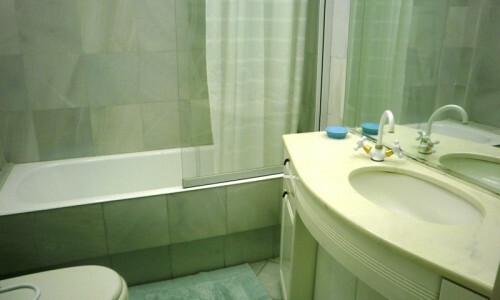 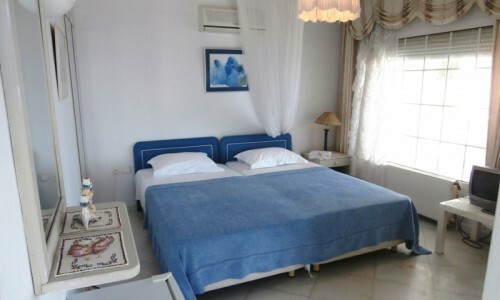 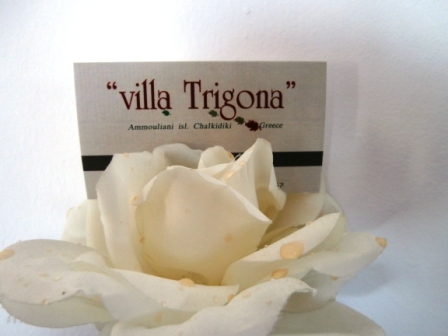 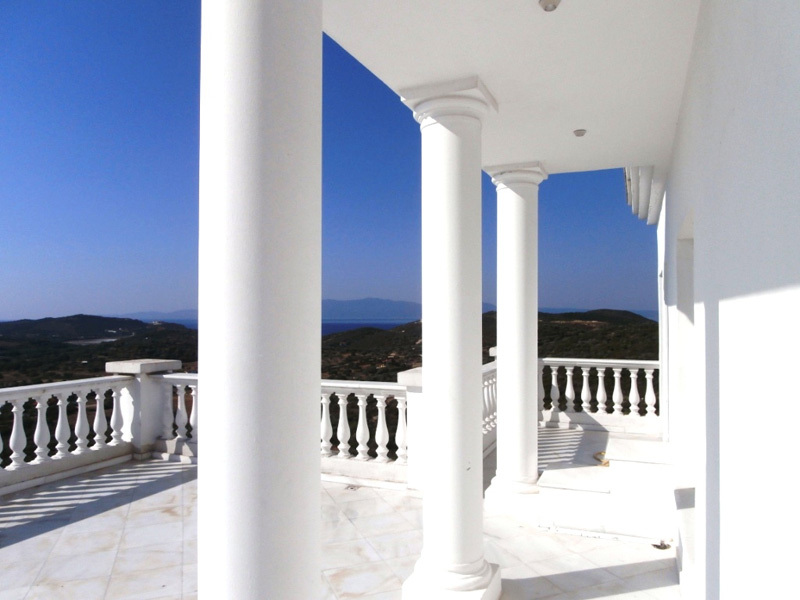 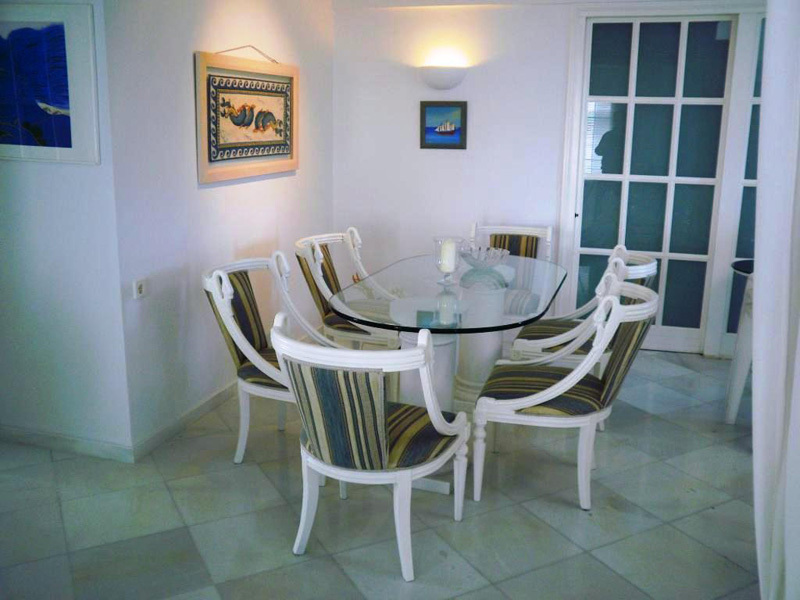 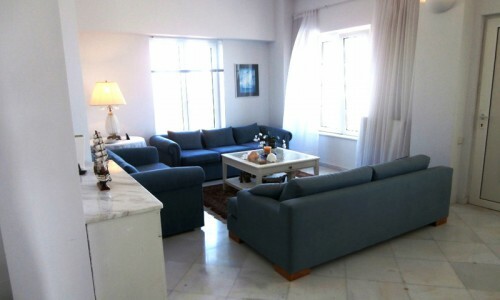 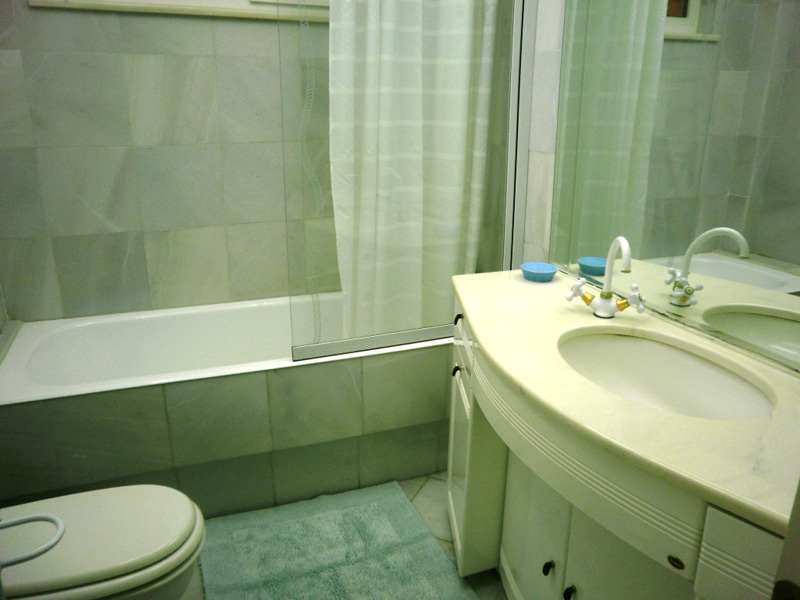 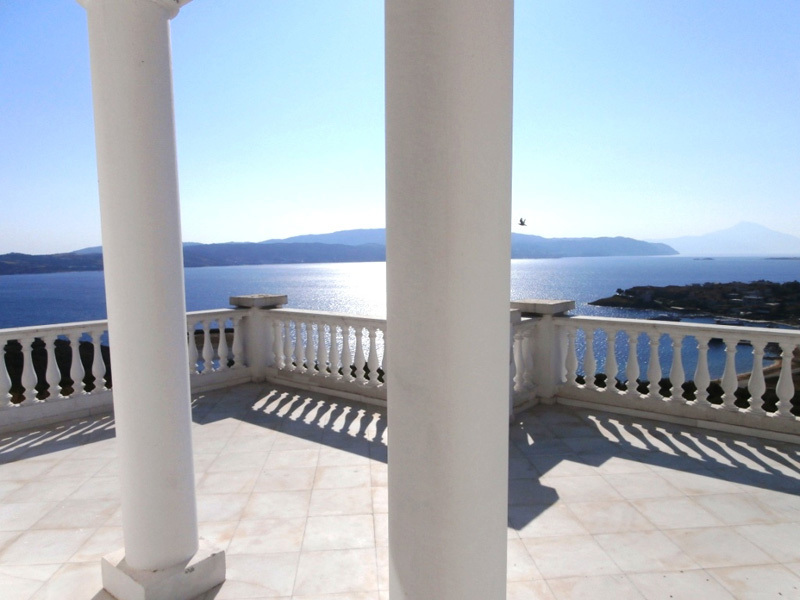 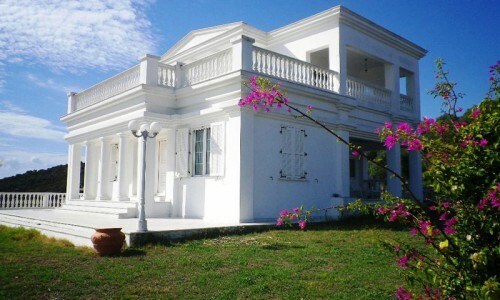 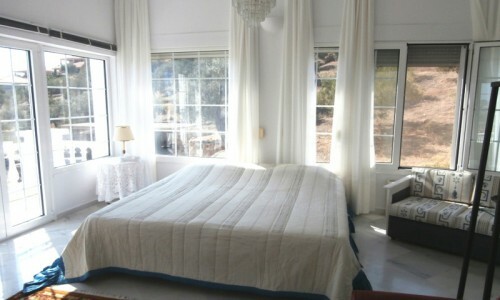 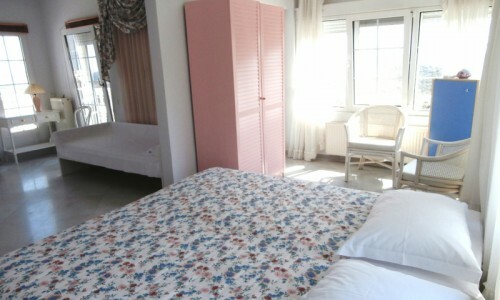 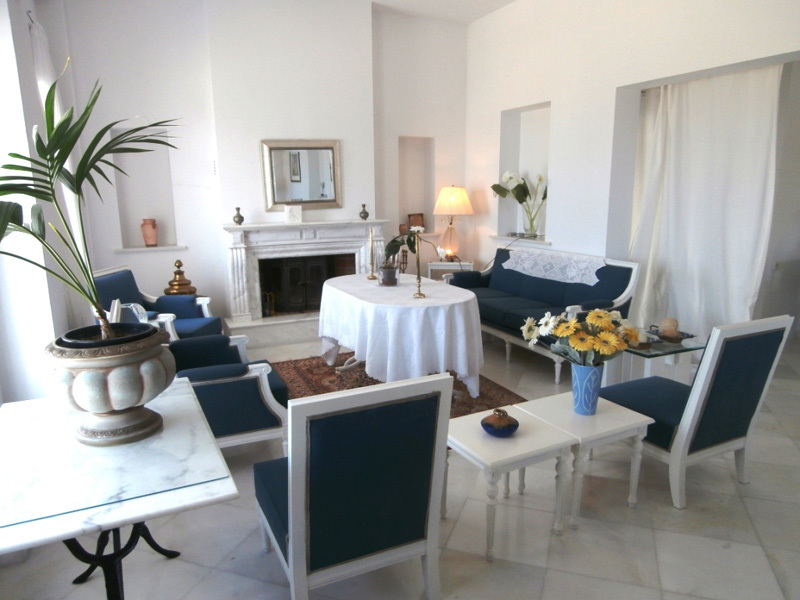 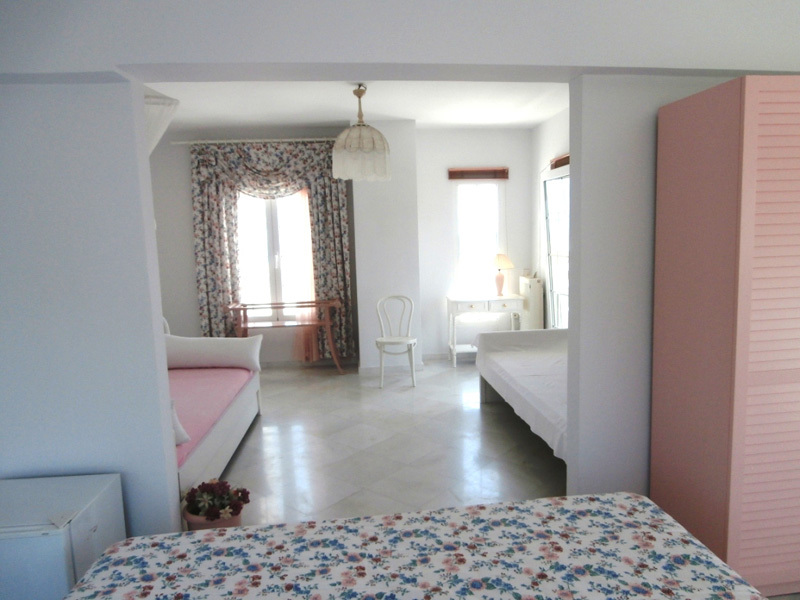 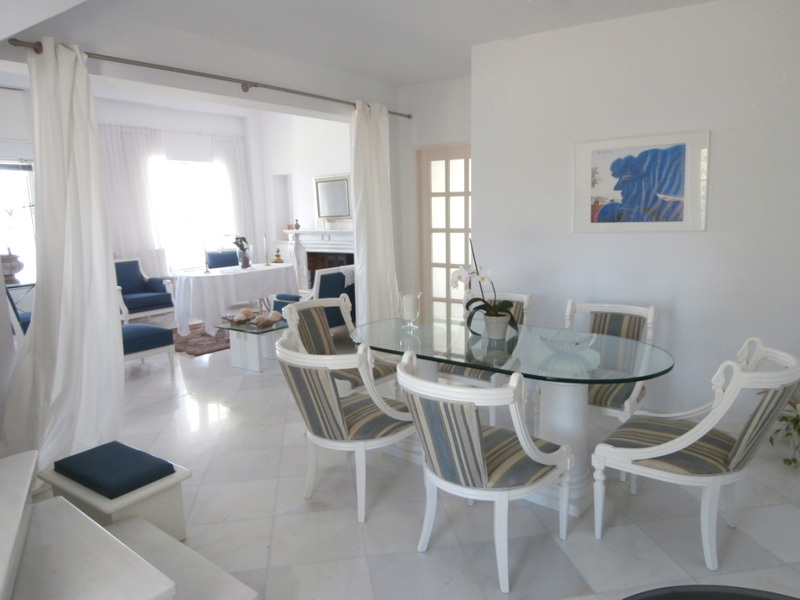 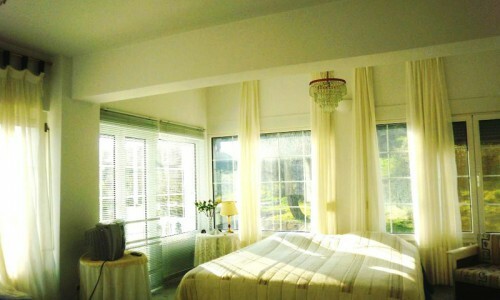 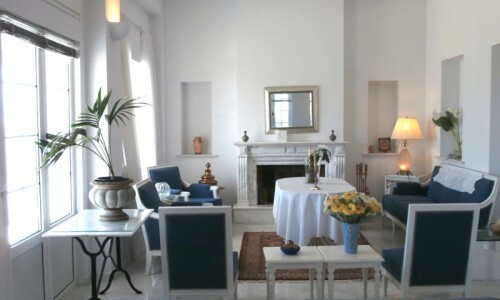 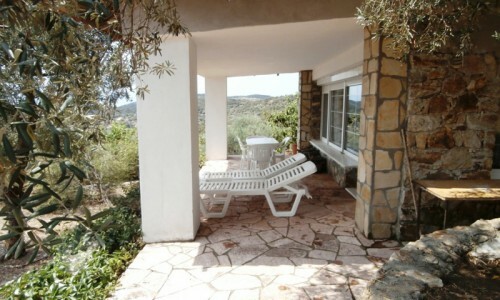 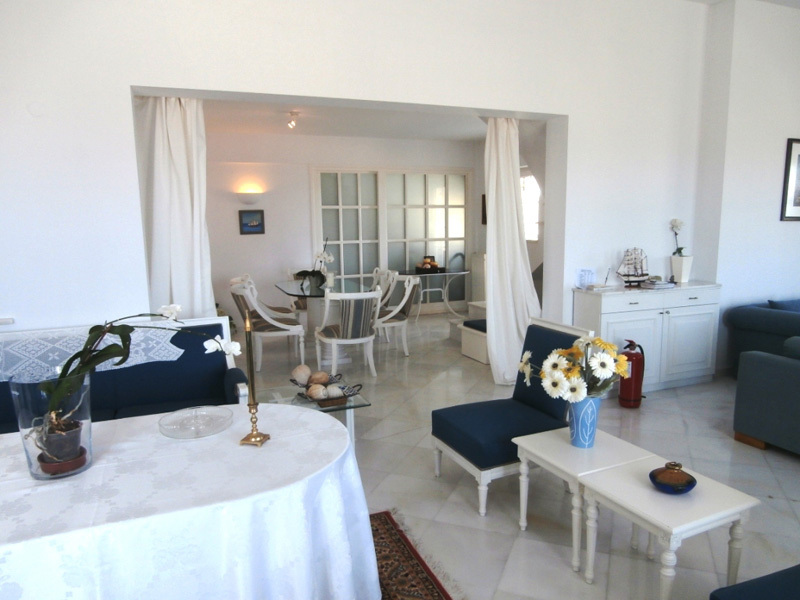 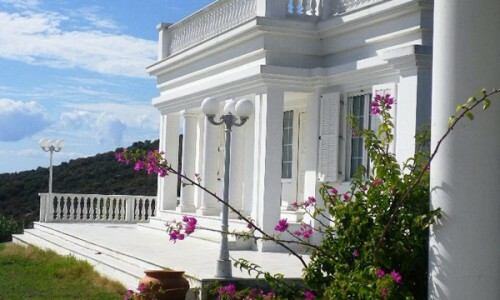 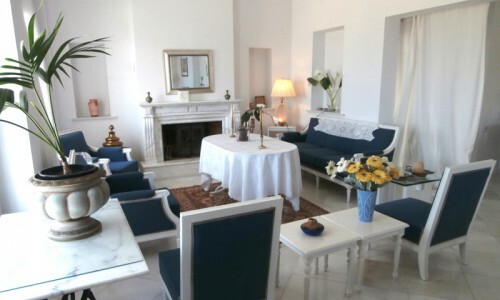 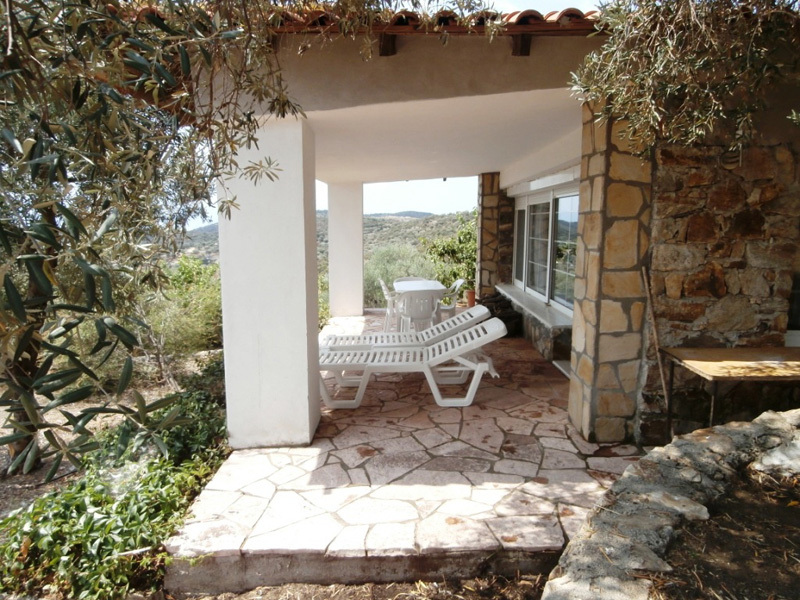 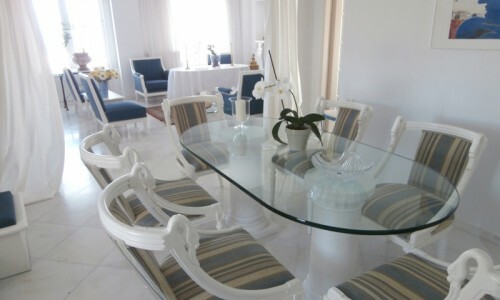 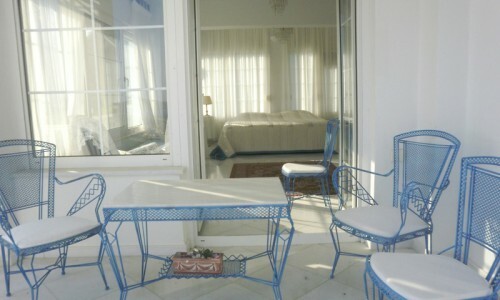 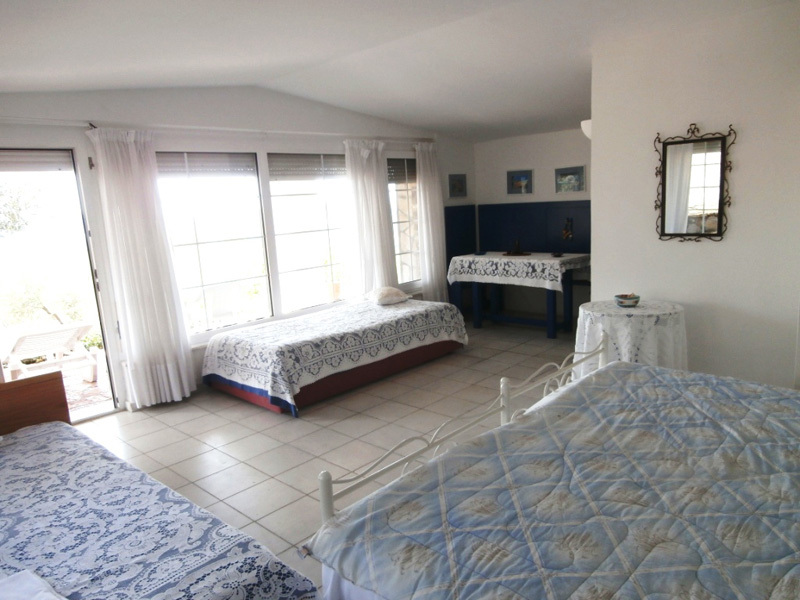 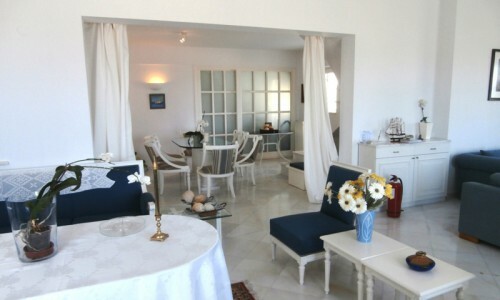 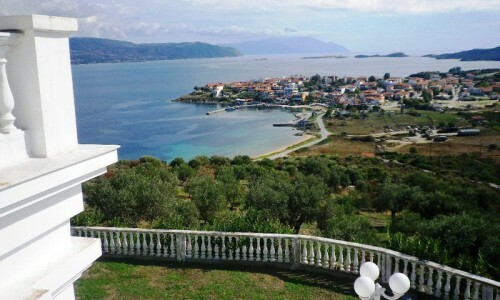 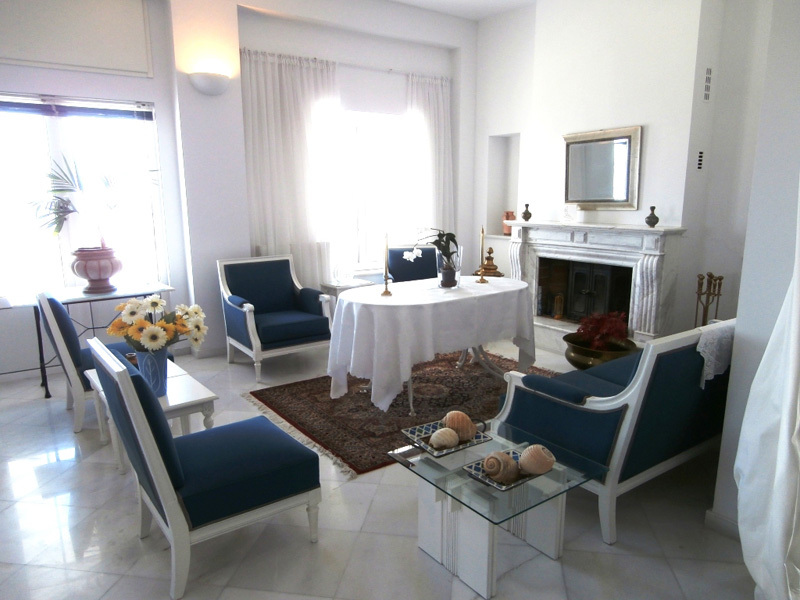 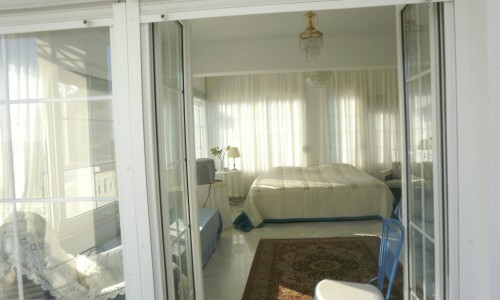 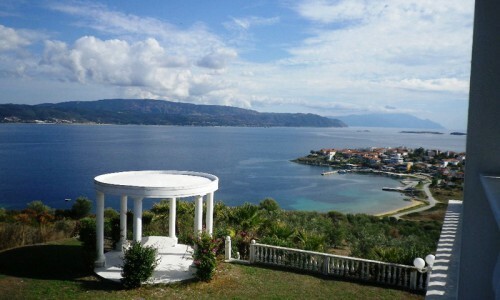 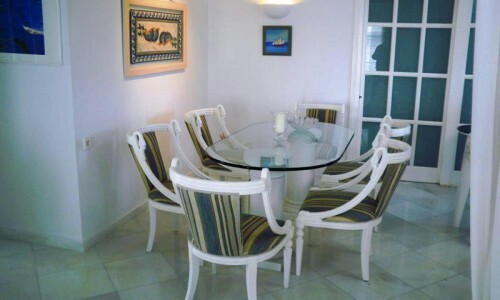 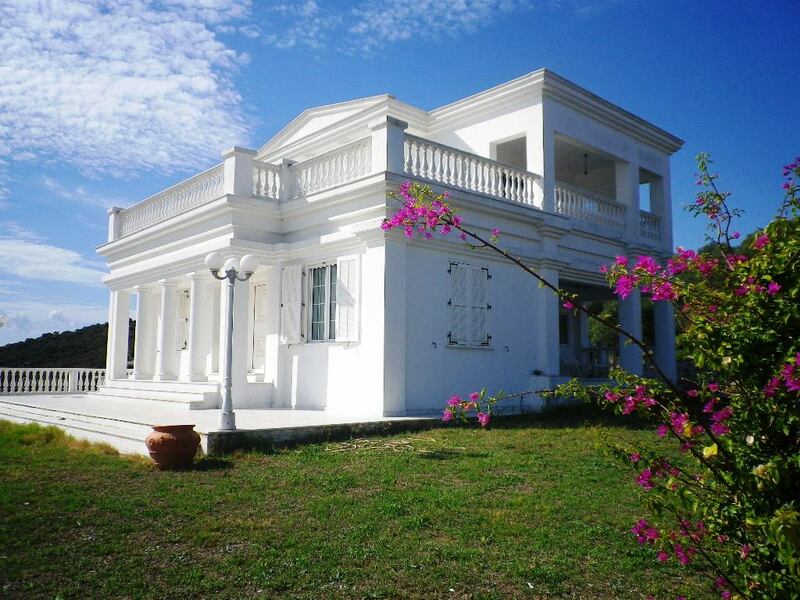 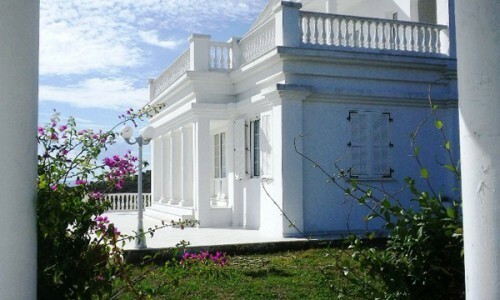 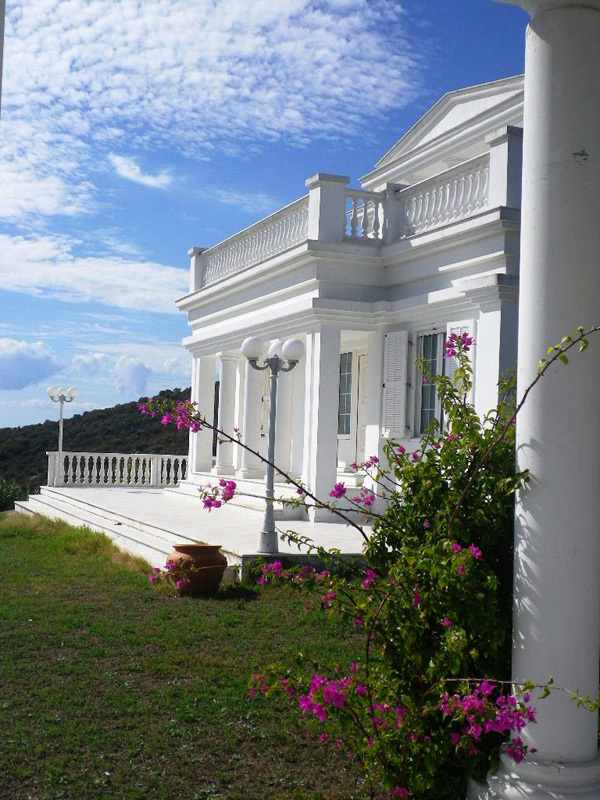 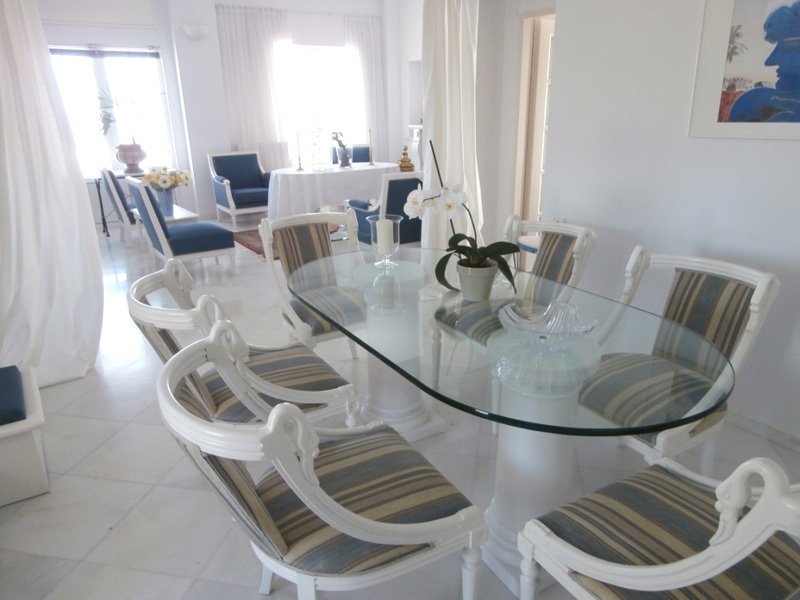 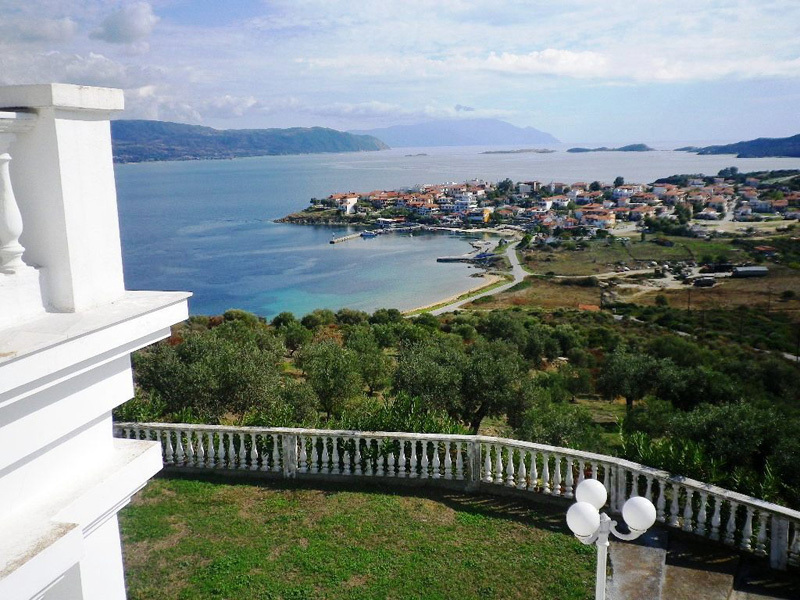 Villa Trigona is a holiday villa ,situated in Ammouliani. 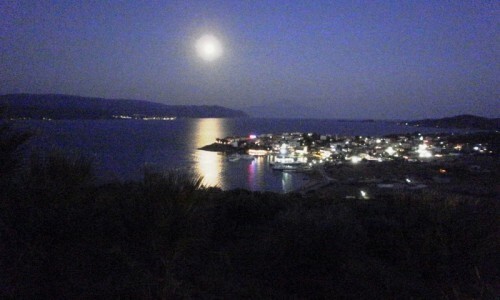 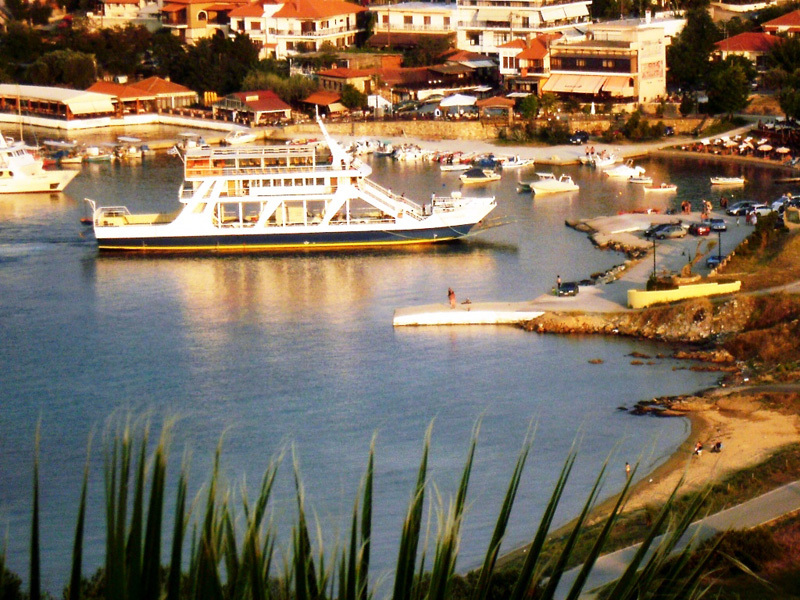 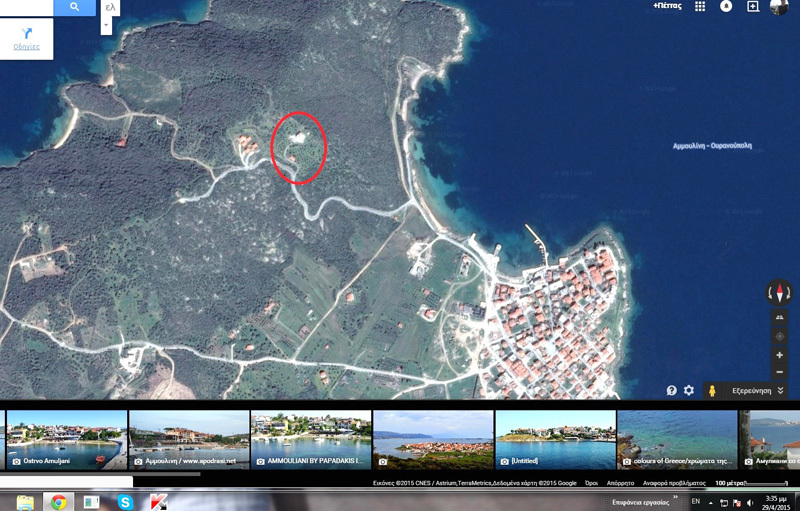 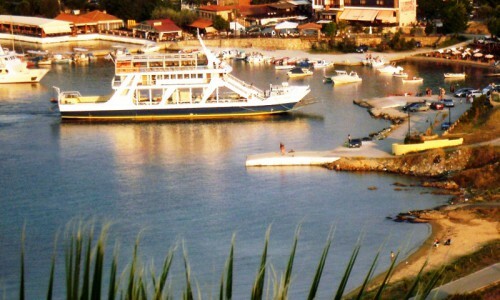 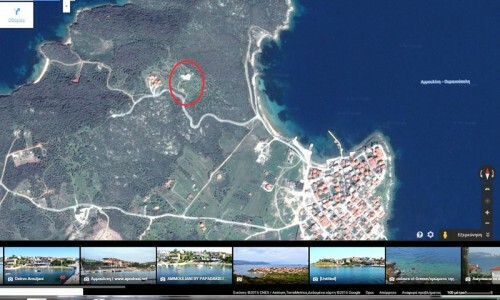 Ammouliani is an island located in the chalkidiki,120 Km from Thessaloniki. 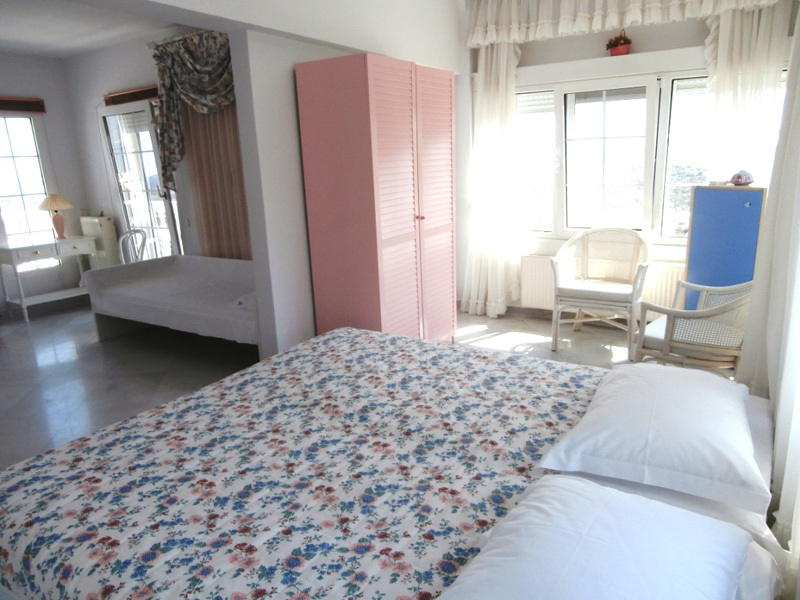 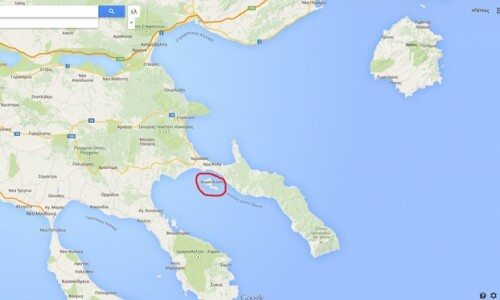 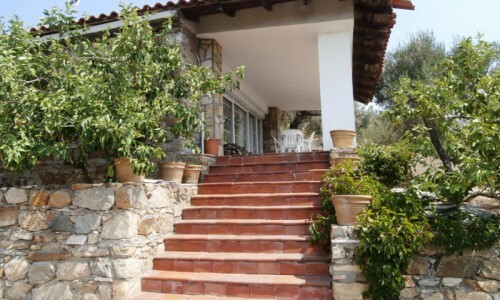 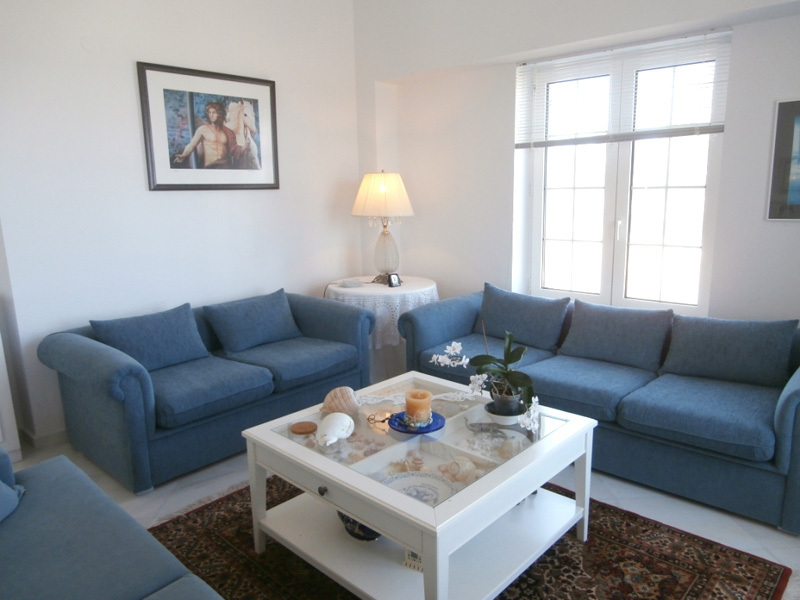 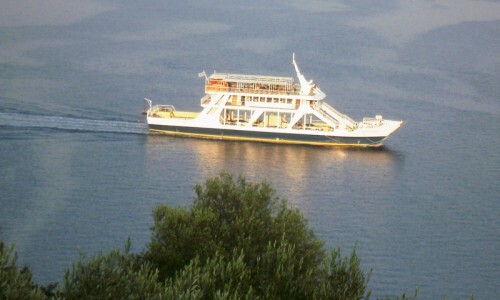 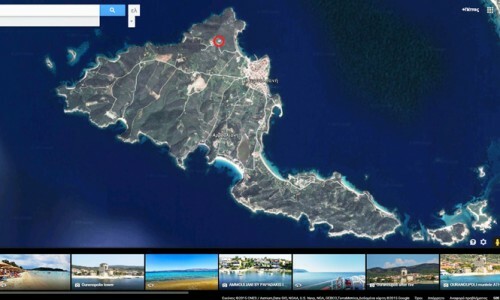 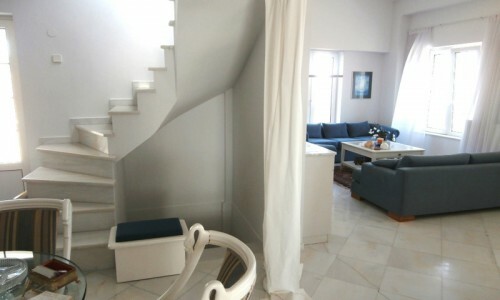 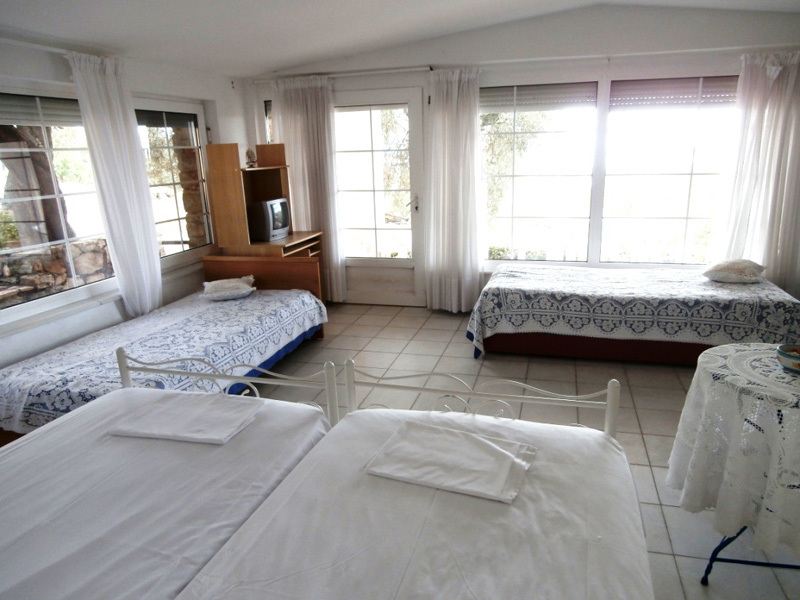 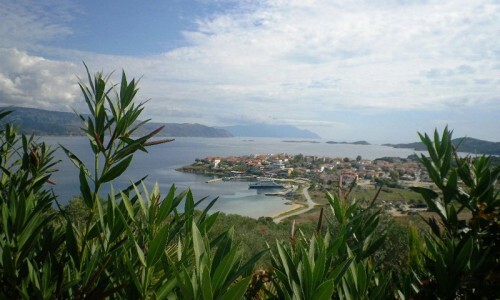 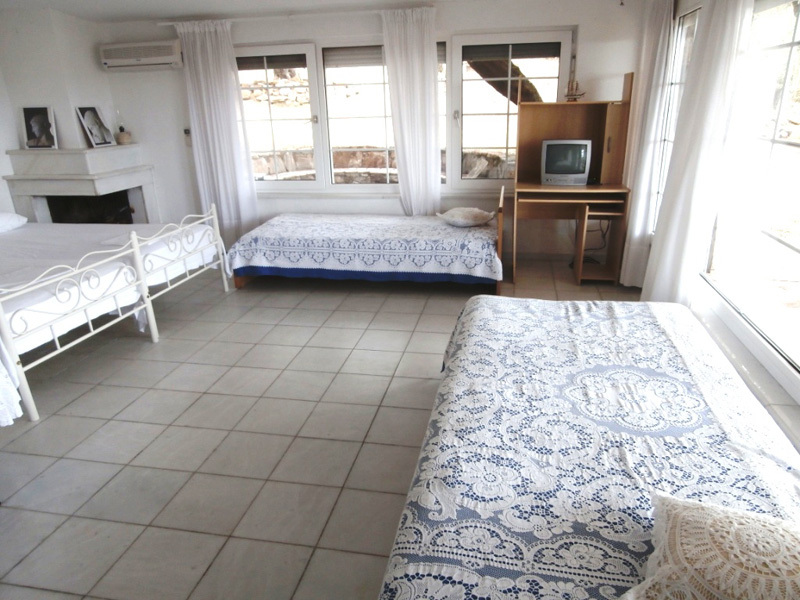 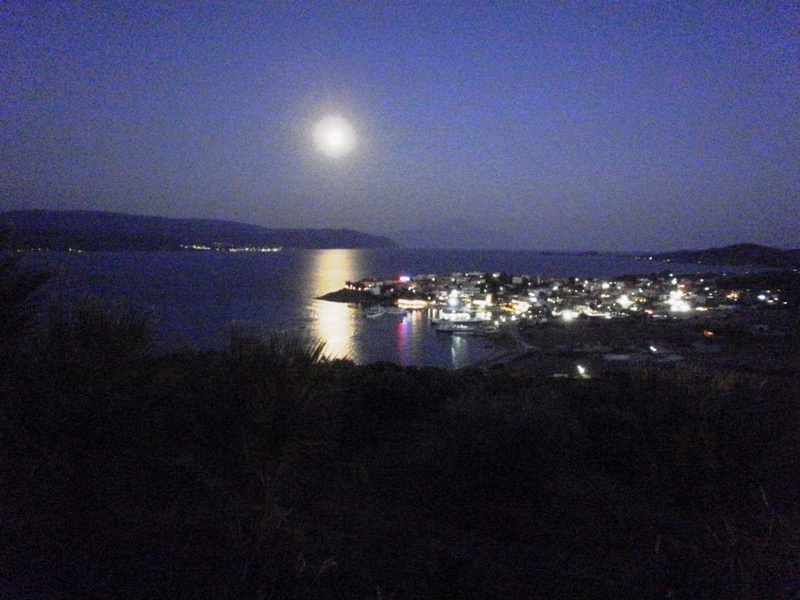 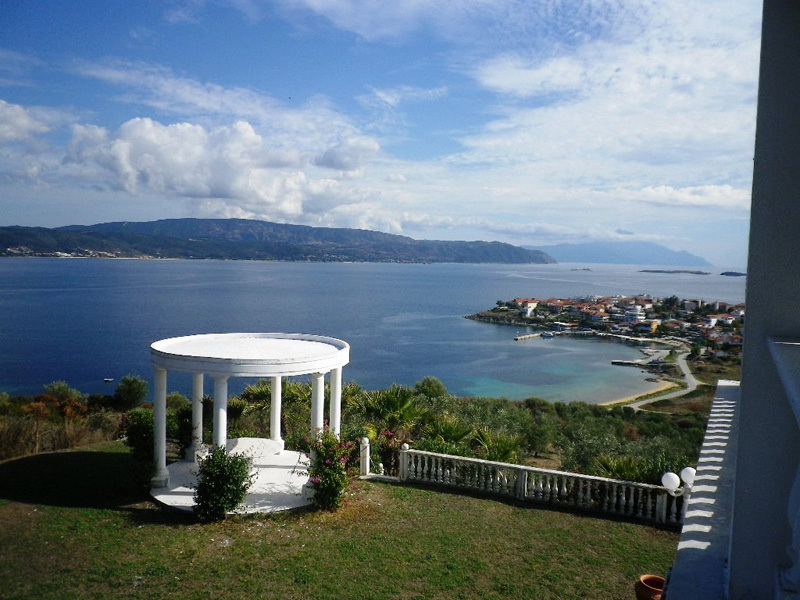 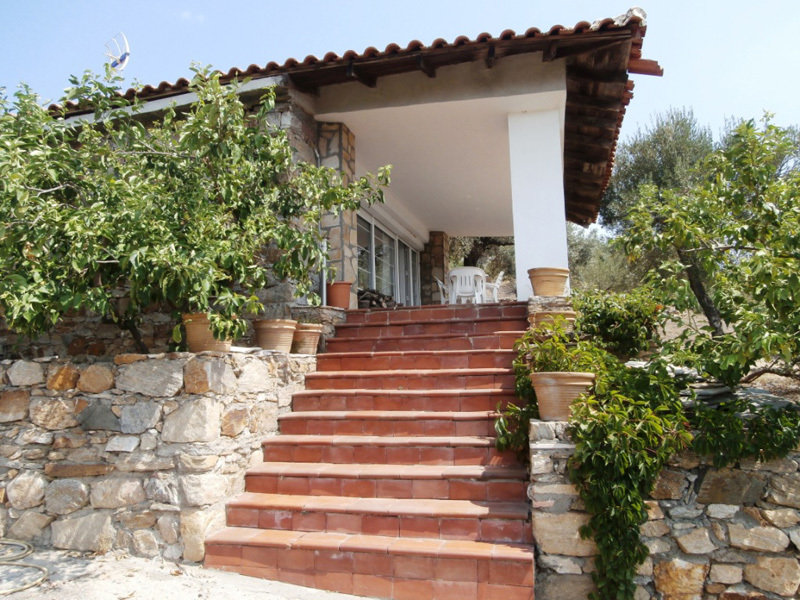 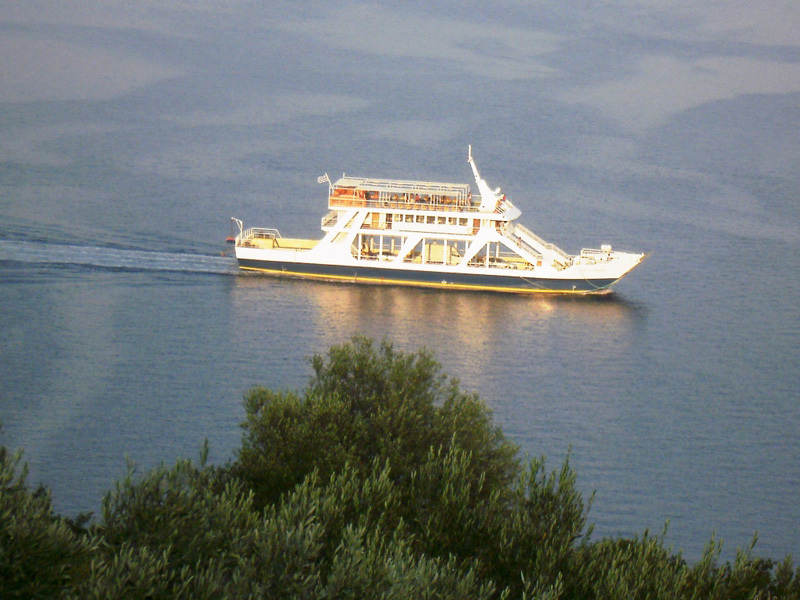 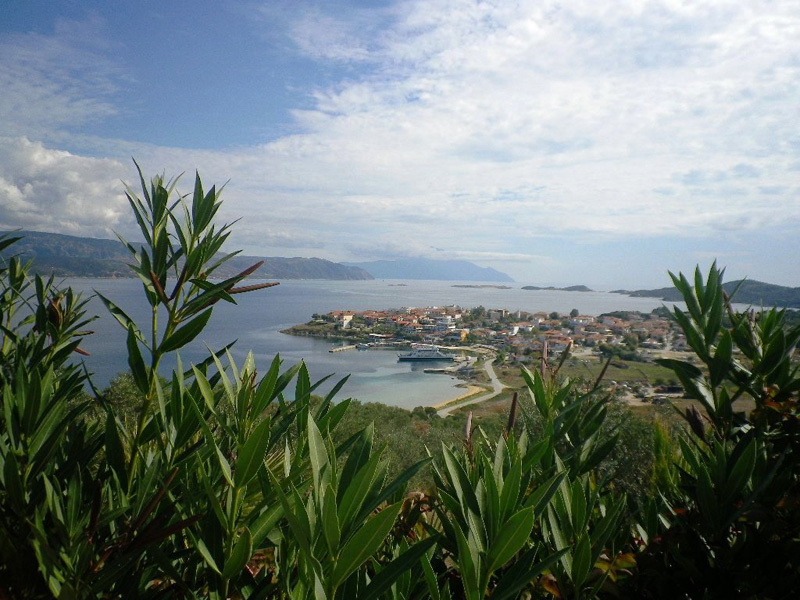 Is connected by frequent ferry boat routes,that last only 15 minutes to Trypiti,the beach located across the island.Villa Trigona is located on the hill “Trigona ” 50 m up from the level of the sea.The House is a great place to feel at home. 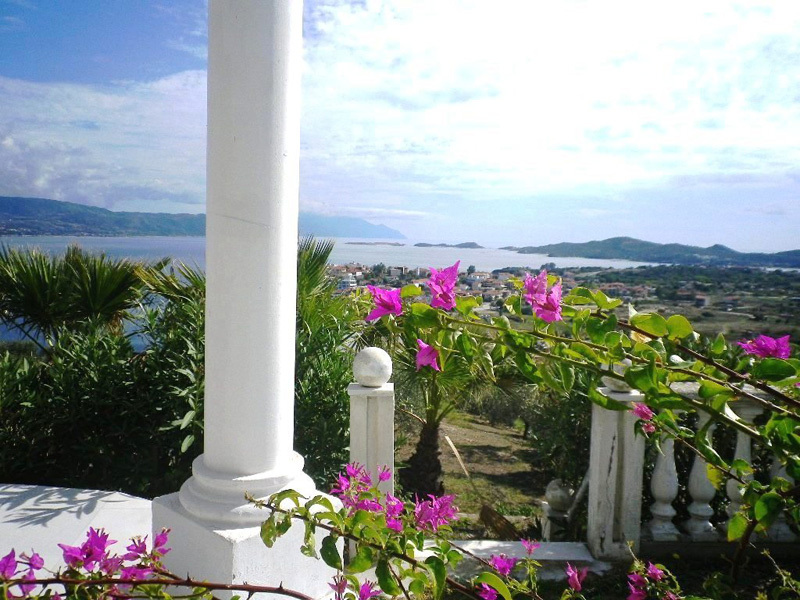 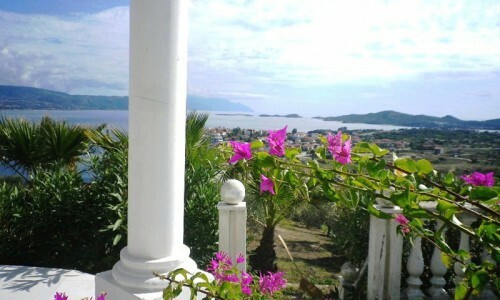 The view is outstanding and the fantastic terrace is a favorite place to read ,eat, enjoying the marvellous view of Mount Athos, the sea ,the full moon and the sun.Villa Trigona with 3 bedrooms can accomodate about 12 people.All rooms have view to the sea .The House is fully equipped.All bedrooms are comfortable and all beds are single.The ground floor consists of one very big living -room with a fire place ,dining-room, kitchen and one bedroom with a bathroom (tub.) 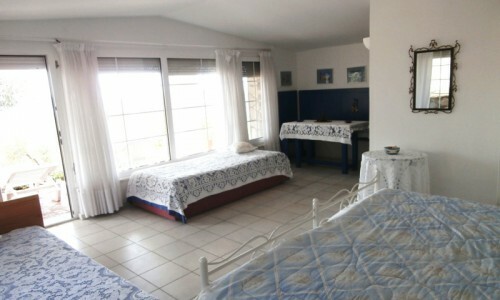 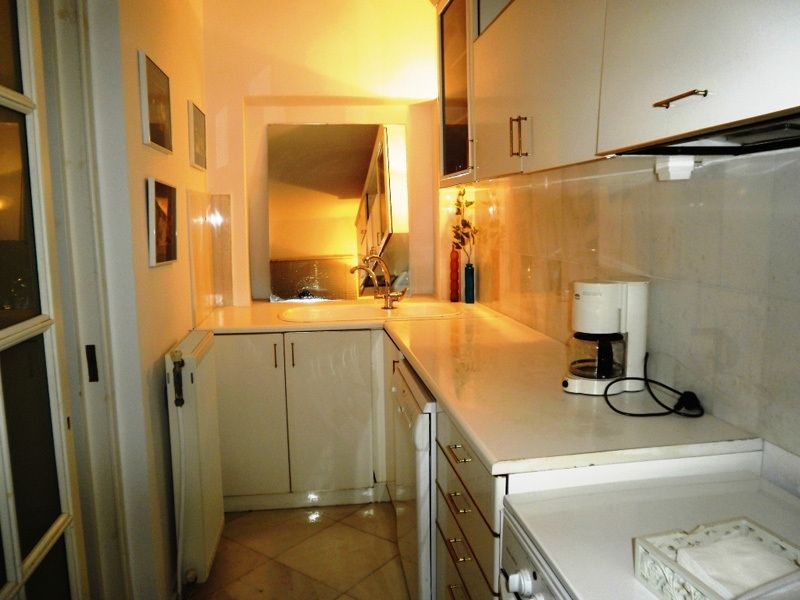 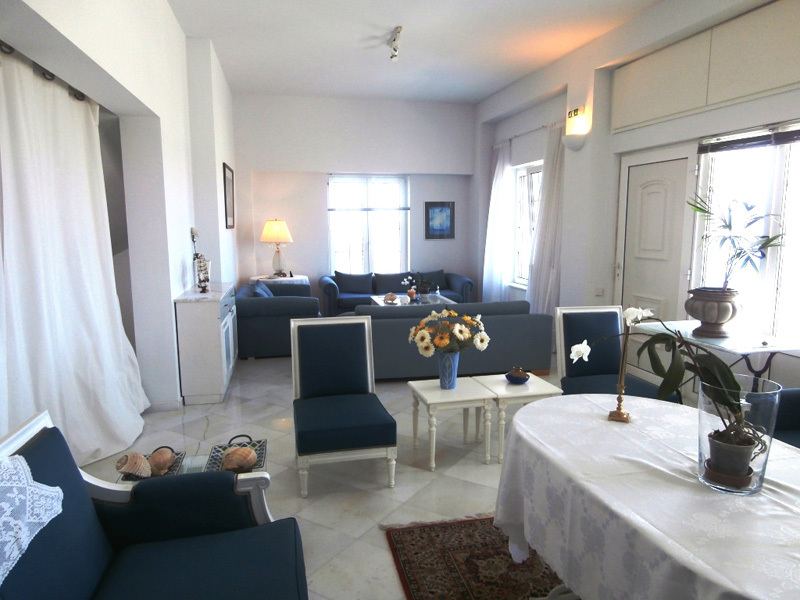 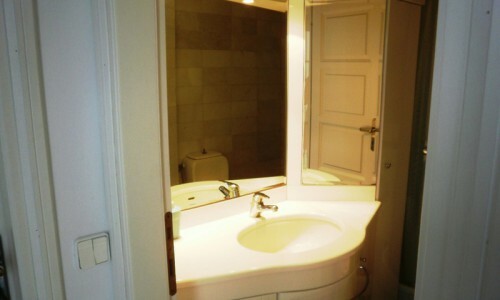 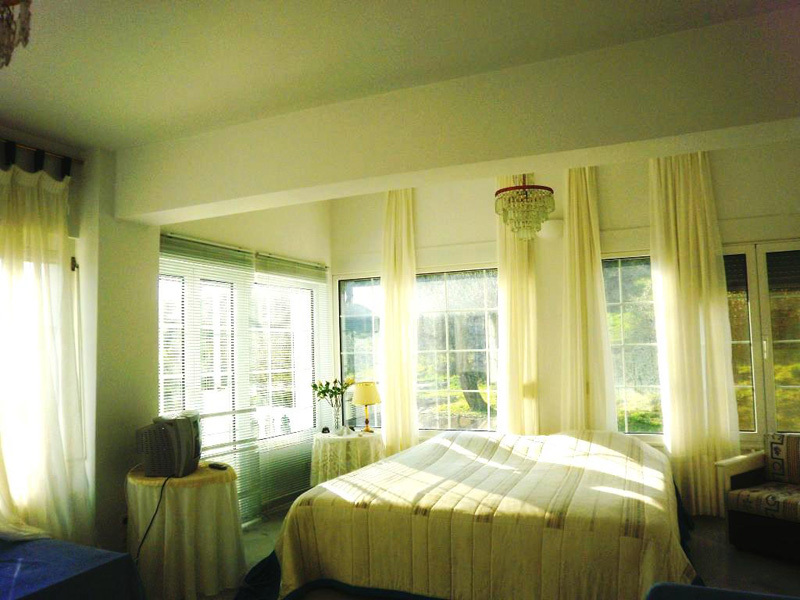 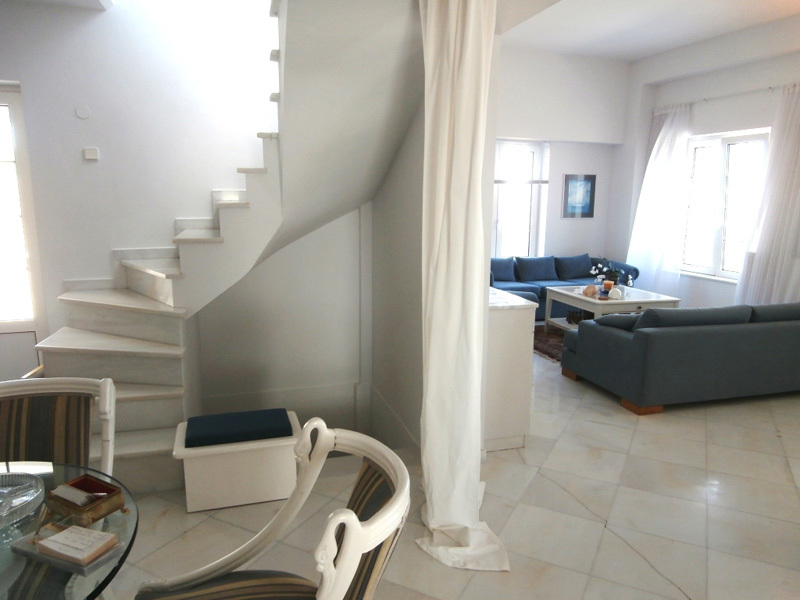 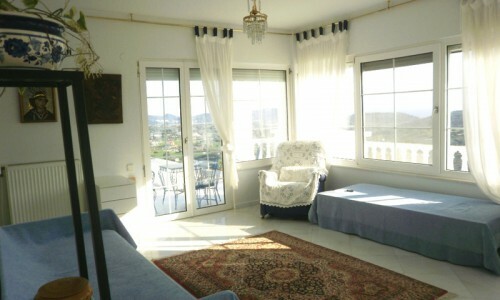 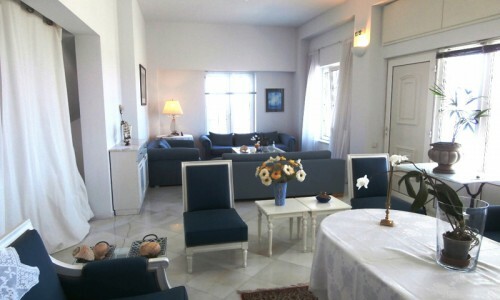 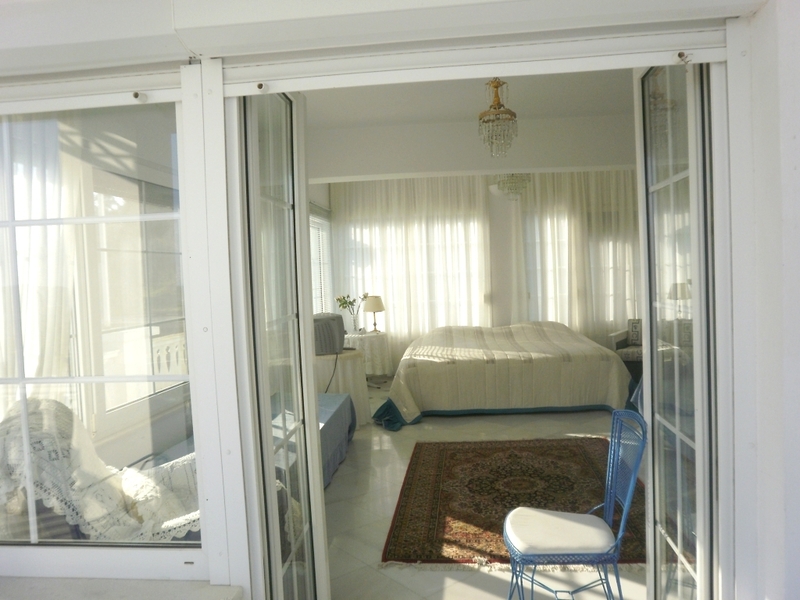 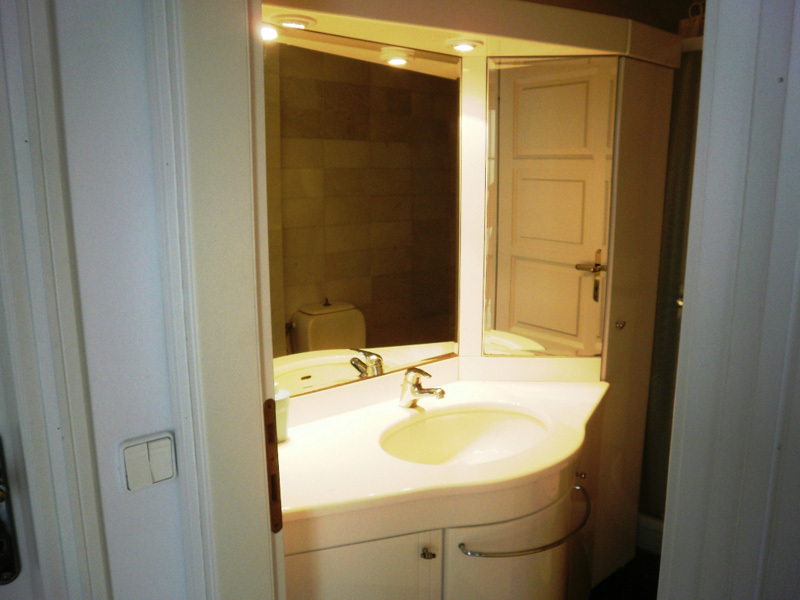 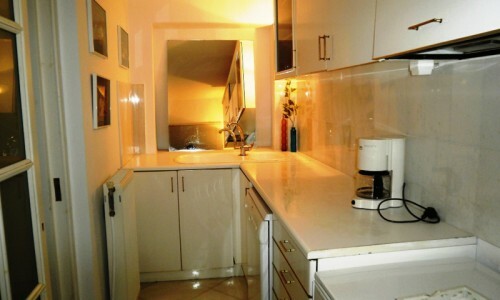 The second level consists of two bedrooms.One with 4 or 5 beds and a bathroom (shower) and the other with 3 beds and a bathroom (shower) .In front of these bedrooms there is the terrace.In the garden there is a very nice papillon with a very big marble-table ( to have your breakfast ).All the area ( 16000 m2 ) around the House is plenty of olive trees,oleaders, palm trees.